Once the enhanced version of the Salesforce note-taking tool is enabled, it causes an error when attempting to create a Process that uses Quick Actions to create a new note: "We can't find an action with the name and action type that you specified." Add Action: Quick Actions > Filter Search By: Object > Opportunity > Action: newly created Log A Note action. Please note, after selecting the Action, it should return a list of required fields. In this case it does not. 4. Click Save and receive error: "We can't find an action with the name and action type that you specified." 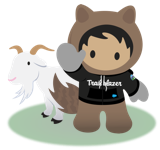 After the enhanced version of the Salesforce note-taking tool is enabled, they should not be available to select when creating a Process Builder that uses a Quick Action to create new notes. The fix will correct it so that it cannot be selected when creating Processes that use Quick Actions. In order to create a Process that uses Quick Actions to create a new note, you would go to Setup > Customize > Notes > Notes Settings > Deselect "Enable Notes" and Save. NOTE: If you disable enhanced Notes, users can’t access notes that were created with enhanced Notes.